H. Rick Bamman - hbamman@shawmedia.com Fox River Grove Fire Department ambulance 657 honors the memory of the seven students killed 20 years ago on Oct. 25, 1995. H. Rick Bamman - hbamman@shawmedia.com Fox River Grove Fire Chief Bob Kreher (left) and brother Deputy Chief Jim Kreher at the Seven Angels Crossing. 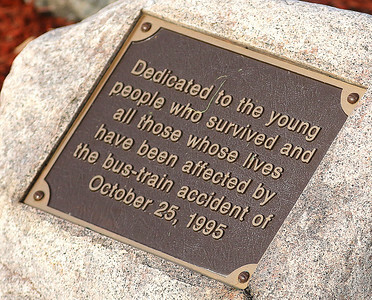 It’s been 20 years since the brothers worked the scene at the intersection of Route 14 and Algonquin Road in Fox River Grove in 1995 after the bus-train crash. 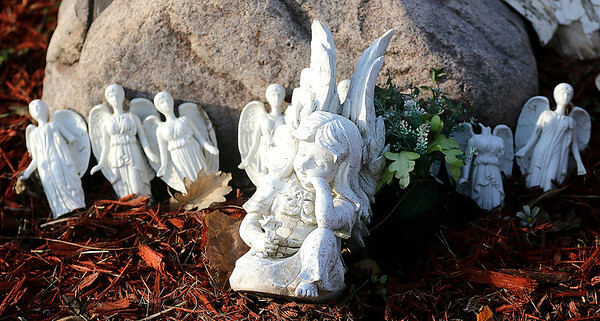 Seven students Jeffrey Clark, 16; Stephanie Fulham, 15; Susana Guzman, 18; Michael Hoffman, 14; Joseph Kalte, 16; Shawn Robinson, 14; and Tiffany Schneider, 15 died. Jim Kreher was the incident commander on the day of the crash and runs a yearly blood drive in memory of the seven students. He and his Angie Kreher maintain the memorial. H. Rick Bamman - hbamman@shawmedia.com The memorial plaque at Fox River Grove's Seven Angels Crossing reads: " Dedicated to the young people who survived and all those whose lives have been affected by the bus-rain accident of October 25, 1995." 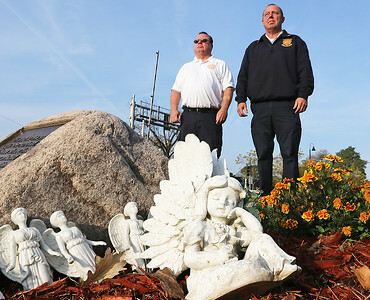 H. Rick Bamman - hbamman@shawmedia.com Deputy Fire Chief Jim and wife Angie Kreher maintain the memorial at Seven Angels Crossing at the intersection of Route 14 and Algonquin Road in Fox River Grove. Fox River Grove Fire Department ambulance 657 honors the memory of the seven students killed 20 years ago on Oct. 25, 1995.